Acute Myeloid Leukemia (AML) is an aggressive form of blood cancer that frequently develops in children. The diseased cells often carry mutated forms of a specific gene, which is known to function within large protein networks. Applying a combination of highthroughput proteomic and genomic screens in AML cells, researchers at CeMM and LBI-CR identified a protein of this network crucial for the survival of the cancer cells. When this protein is lost, AML cells stop growing and accumulate DNA damage, which makes them more sensitive to anti-cancer drugs – a novel potential approach for targeted therapies. The study was published in Nature Communications. AML is not a single disease. It is a group of leukemias that develop in the bone marrow from progenitors of specialized blood cells, the so-called myeloid cells. 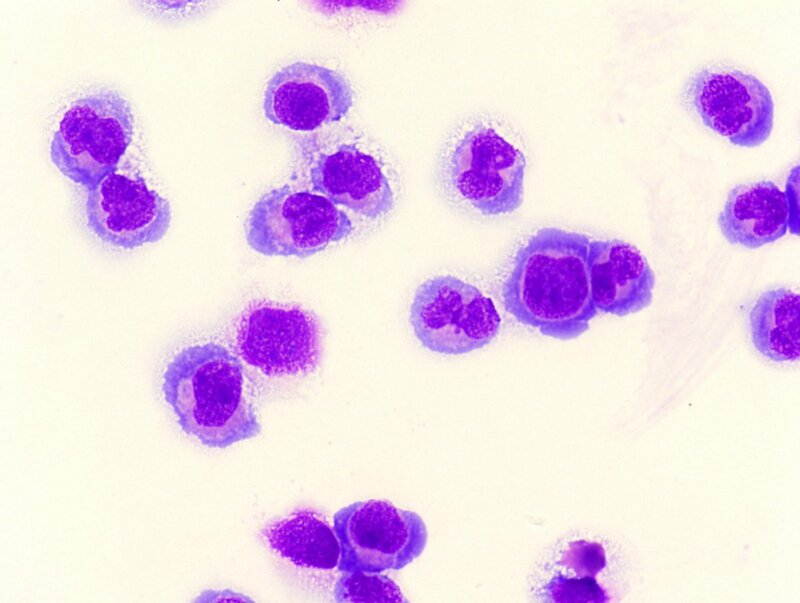 Rapidly growing and dividing, these aberrant cells crowd the bone marrow and bloodstream, which can be fatal within weeks or months if the disease is left untreated. Myeloid cells of various types and stages can become cancerous and cause AML, which makes the condition very heterogeneous and difficult to treat. Thus, finding drug targets that affect as many forms of AML as possible is a prime goal for researchers. Mutations in the MLL (Mixed lineage leukemia) gene are of interest, as they are frequent in AML. They are caused by rearrangements of big chunks of DNA, so-called chromosomal translocations, which can lead to the fusion of two otherwise-separated genes; in the case of the MLL gene, fusions with more than 75 different partner genes were found. Above that, it was known that MLL-fusion proteins act in the context of large protein complexes, which need specific “effector” proteins to exert their oncogenic function – ideal targets for a precise therapy. However, it was not clear whether such critical effectors are common for all MLL-fusion proteins. The research groups of Florian Grebien from the Ludwig Boltzmann Institute for Cancer Research, Giulio Superti-Furga, Scientific Director of the CeMM Research Center for Molecular Medicine of the Austrian Academy of Sciences, and Johannes Zuber, from the Institute of Molecular Pathology, tackled that question in their latest study. They were able to identify common, conserved molecular mechanisms that drive oncogenesis in the context of the large number of different MLLfusion proteins by characterizing the protein-protein interaction networks of distantly related MLL fusion proteins.